Mary explained that “this home needed to be for all stages of life so I created an accessible, universal design.” Coming through in numerous small details, the features of a home for all ages includes plenty of storage in a mudroom/breezeway that connects the home to the garage, a hidden door for firewood to be added from the exterior and smart, user-friendly cabinetry. 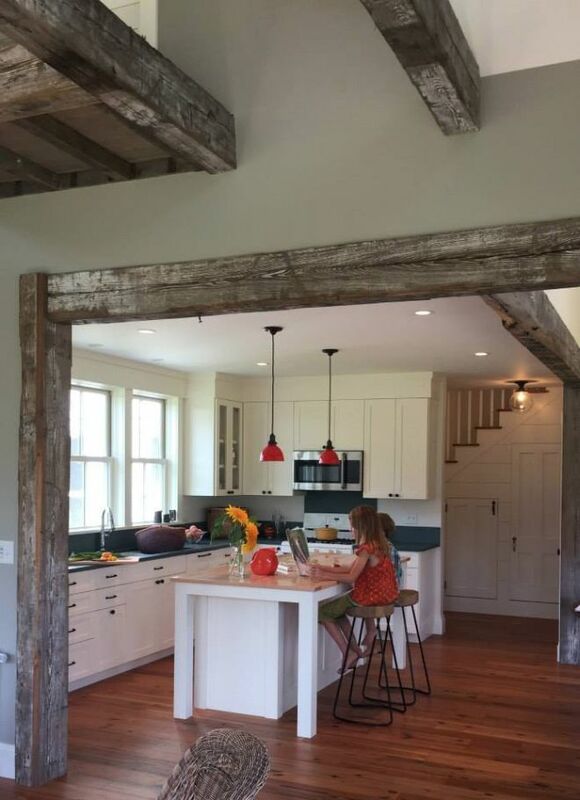 Rough-sawed beams open up living spaces, connecting the kitchen to the great room and framing the opening with the same weather-worn wood. Charcoal soap stone complements the white shaker cabinets. A pair of Macintosh-red lamps suspend over the wood counter island. 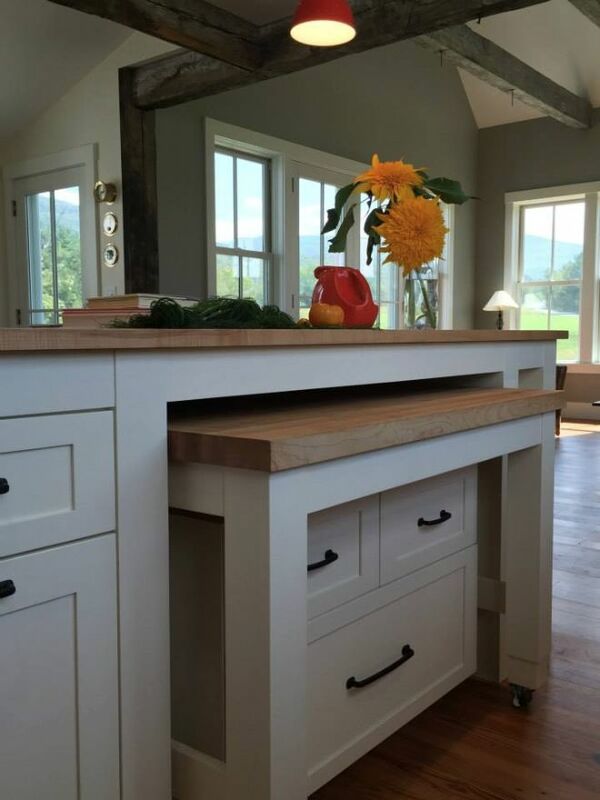 Rolling cabinets reveal a second, lower counter space. A chair can easily fit underneath, sitting the food preparer at a convenient level and allowing tired feet to rest while preparing meals. 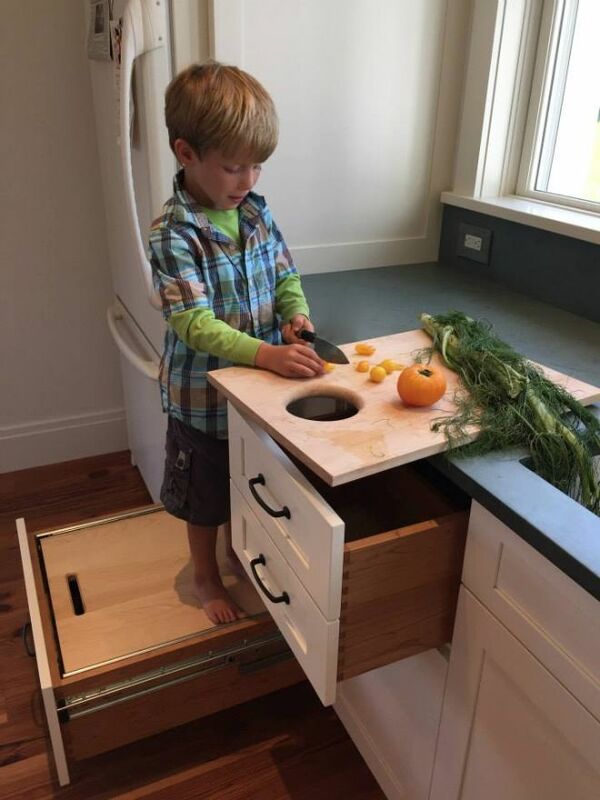 Another surprise cabinet design, soft-pull drawers reveal a step-up stool for the littlest of helpers. Catching compost for farmhouse gardens is easy, with cut-through cutting board that drops produce into its center hole. 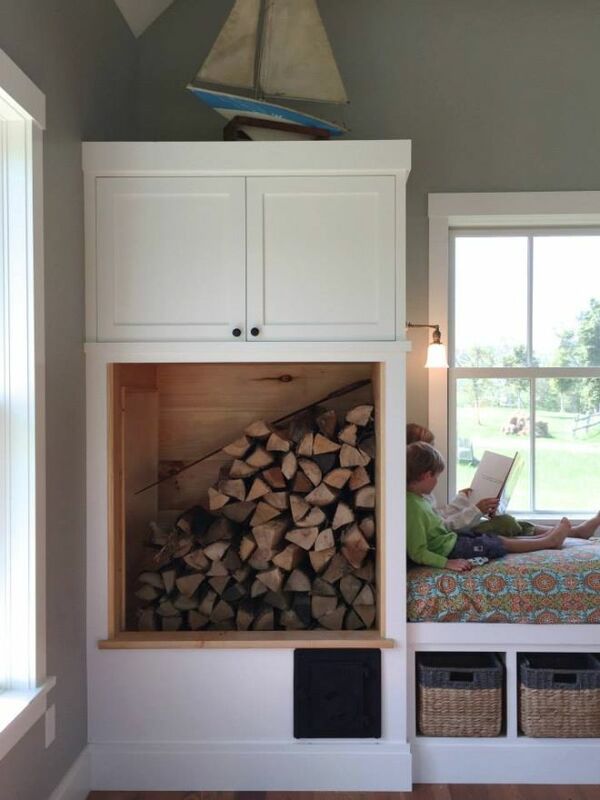 Hidden behind this built-in firewood storage is a secret door that allows wood carriers to restock the woodpile from outside the home. 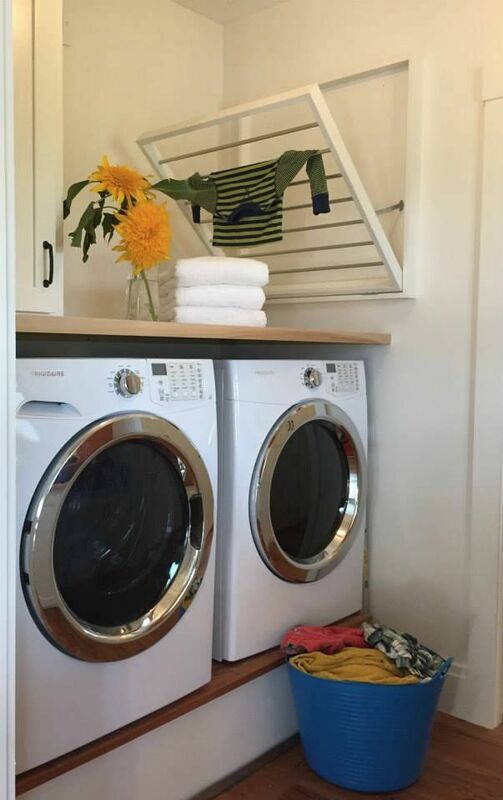 Wall-attached clothes dryers sit neatly above the folding table. Front-opening washer and dryer keeps laundering within arms reach. 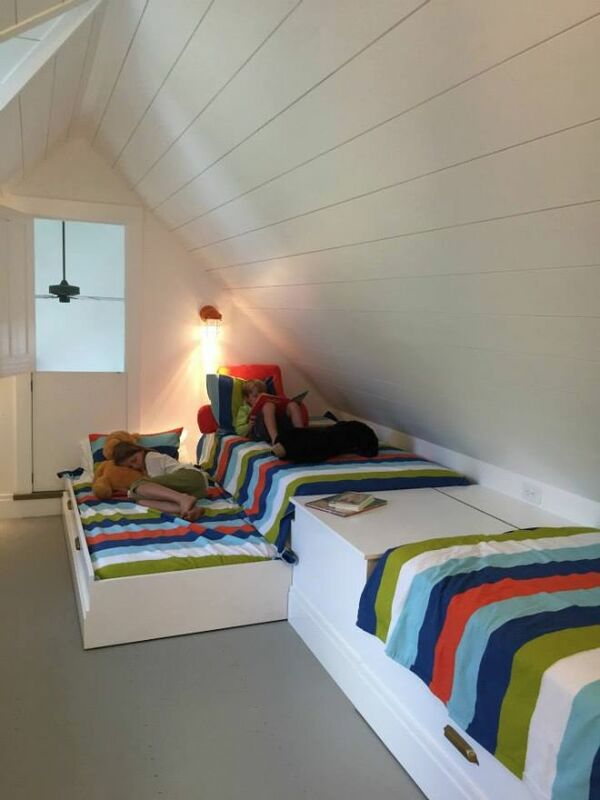 Radiant heat under slate-gray tiles warms cold feet during relentless Vermont winters. 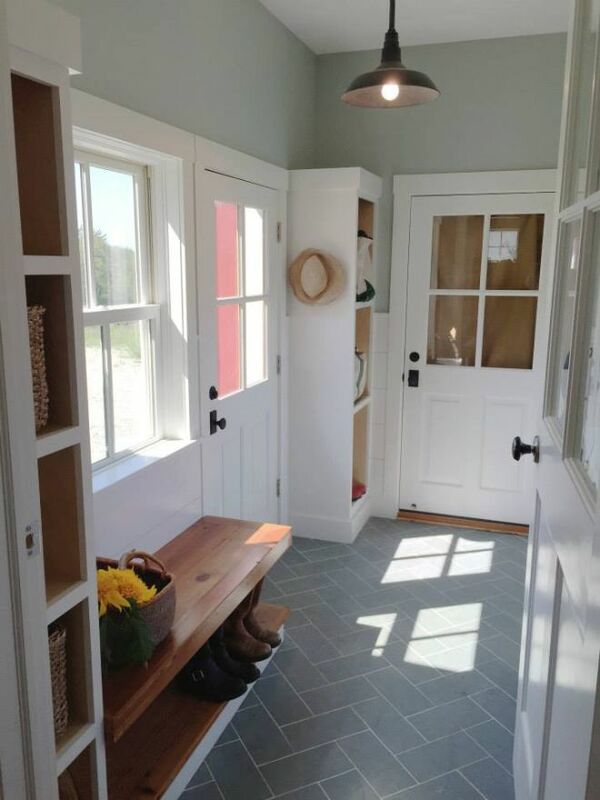 A breezeway that doubles as a mud room is filled with open cabinets, under-bench boot racks and enough hooks for all the grandchildren's outdoor wear. 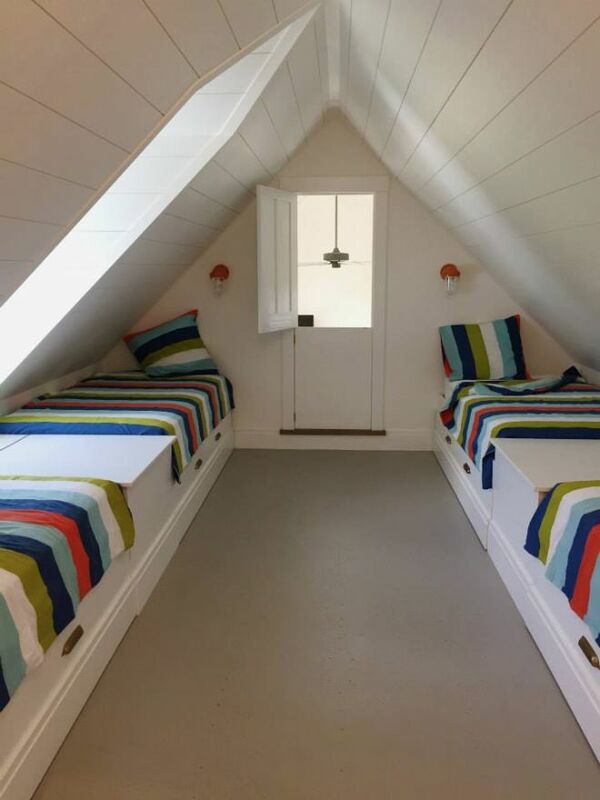 Taking space underneath the tall, sloping roof line necessary for heavy snowfalls, the grandchildren's bunk room is bright, cheerful and lined with storage. A full house is never a challenge as each bed pulls out for extra sleepers. 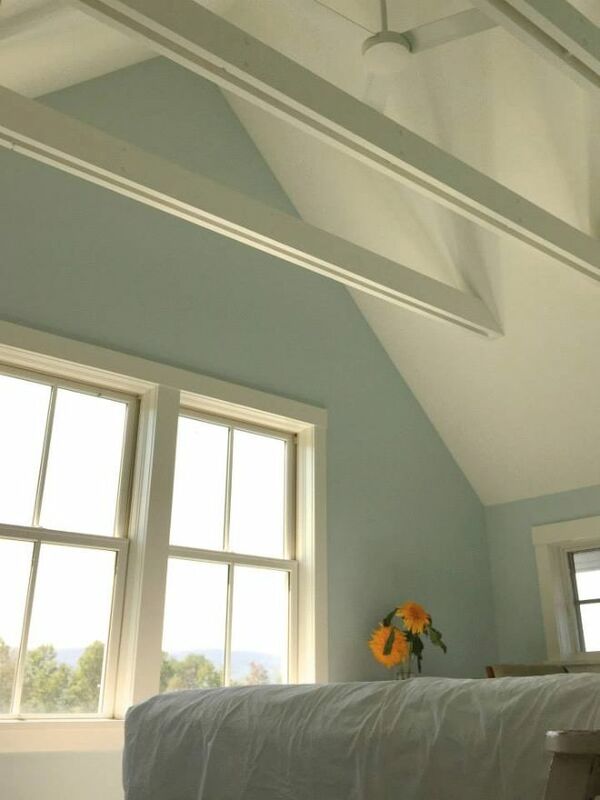 High ceilings with soft ivory walls and hazy blue paint keep the main bedroom tranquil and let in full country views. 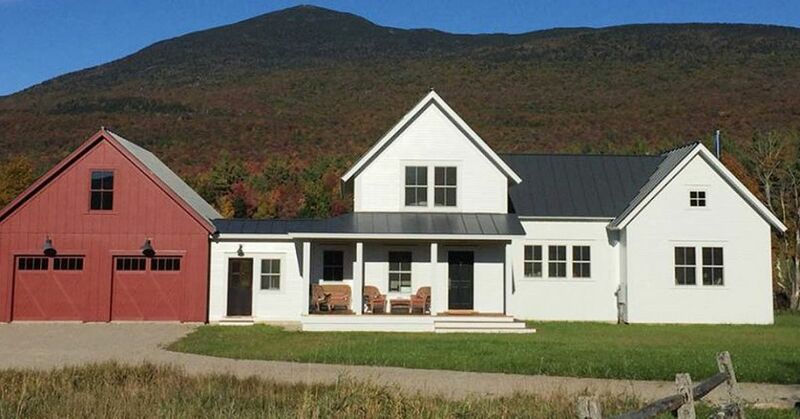 If you love this farmhouse as much as we do, make sure to share it with your friends on Facebook!